And now I am delighted to welcome this week’s guest, Eileen Mueller. I’ve been writing in a closet for the past four years—a sunny closet with great views of the bush surrounding Wellington, but a closet nonetheless. In 2013, I decided to open my closet doors and won the 2013 SpecFicNZ Going Global Contest with my first novel. 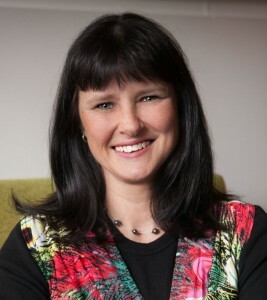 Upon winning the contest, I put my profile onto the SpecFicNZ website and to my surprise, it was voted best changed profile in the SpecFicNZ’s 2013 ‘Pimp Your Profile’ contest. As well as writing, I have fun singing in Faultline barbershop chorus, running community tree-planting and makeover projects, and raising four children. My husband is a harmonica-playing wonder whom I met during a six year sojourn in Switzerland—KurtX just featured on New Zealand’s Got Talent. Videos of his music are available here on my blog. Our Wellington (New Zealand) home, nestled on the edge of the forest surrounding the city, rings with the sounds of blues harp, classical piano, violin, and Swiss-German. My kids and husband create great music while I clack away on my keyboard! In my writing journey, I’ve discovered some fantastic resources that have shaped my work, helping it to grow into something larger and better than I could’ve produced on my own. I share these insights and resources via ‘Write On!’ a regular newsletter containing writing tips, articles, and courses. Sign up for my newsletter ‘Write On! here on my blog. I travelled alone through Asia to Europe with my overactive imagination as my only companion, constantly prompting me with story ideas. When I finally settled back here in NZ (with Kurt and his 100 harmonicas) we had some challenging times with our young children—premature births, chronic illness, surgery, and even death of a child. I read speculative fiction (high fantasy, science fiction, contemporary fantasy, and paranormal romance) as an escape from the grind of dealing with tragedy. I enjoyed re-immersing myself in worlds that I had often frequented as a teenager or child and eventually returned to writing. Now I’m hooked, driven by the endorphin rush that hits wherever I create new worlds, nail a gritty scene, or create chaos in my character’s lives as I craft upbeat, fun stories. 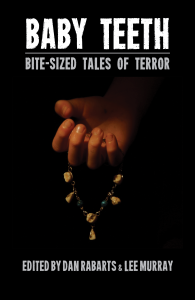 Dad’s Wisdom is a comic horror flash fiction piece in the Baby Teeth—Bite-sized Tales of Terror anthology. Baby Teeth is a fundraiser for Duffy Books in Homes—a NZ charity that provides books for kids. The dragon’s eyes were burning embers in the dark, making its green scales gleam. It licked the white tips of its fangs, grinning at me from under my bed. It was hungry. Heart pounding, I reached for my lunchbox. I fed the dragon stale crusts and left-over apple cores, but it wasn’t satisfied. Over the next few days I stole biscuits, then loaves of bread, and even dropped chunks of meat into my pockets at dinner to smuggle up to my room – desperate to keep the dragon’s hunger at bay so I could sleep. A Wizard in the Works and Lucky Brake will be published in an anthology of fantasy stories based in Te Papa – New Zealand’s national museum. I’ve written two young adult fantasy novels, am working on a third, and also write children’s picture books. These works are currently unpublished. With a marketing and public relations background, I’ve written numerous press releases which have generated news articles. The “Here’s SpecFicNZ–Wellington” series will be posting every Thursday for the next five weeks.